Big things happened, on 20th March (Day 50), the kitchen furniture went in. 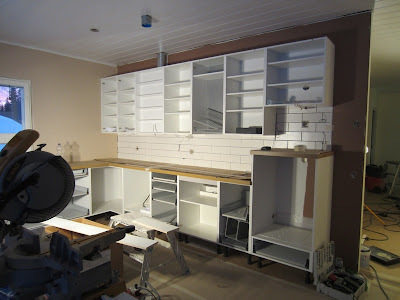 The doors are still missing, and the tiles have not received their grouting, but it very much is taking shape. Also, the wooden strip between ceiling and wall is now in place on the left wall in the photo above. 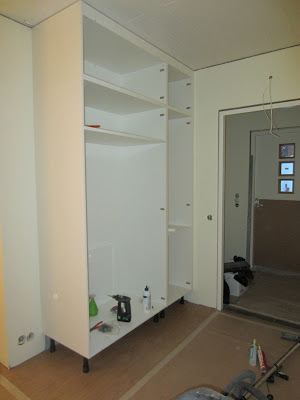 The wardrobe for the entrance area also appeared, which will provide lots of storage for our clothes and coats etc. Finally, the small bathroom now has its sink installed. 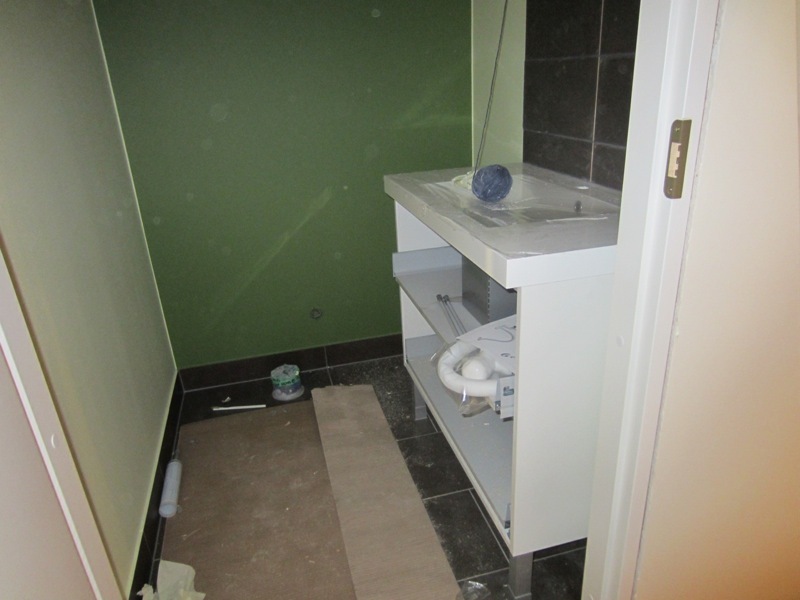 The toilets are still missing, but they will probably be installed together with the taps and shower by a plumber, which will come at a later date. In a month's time we will already live in Our House. Exciting!